Cabo Multivias Adam Hall K12C10. 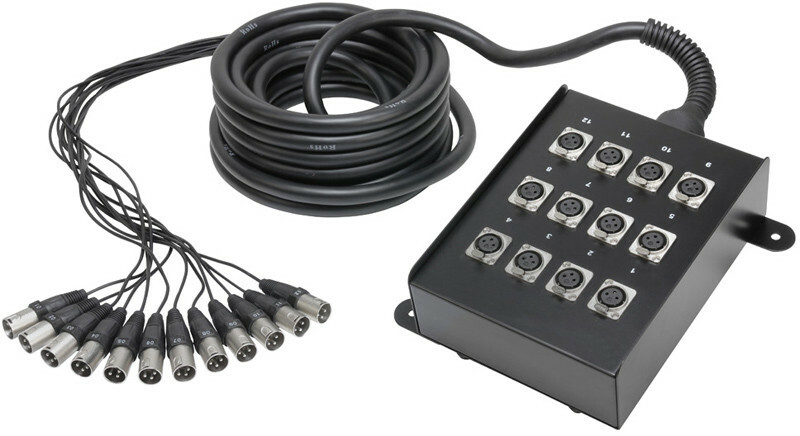 Comprimento: 10 m.
Twelve-channel subcore with permanently attached fifteen-metre cable terminating in twelve Adam Hall XLR plugs. 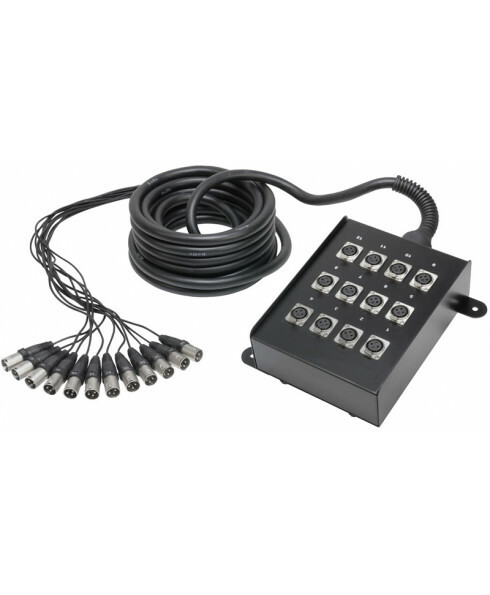 The all-metal stage box has a solid strain relief in the transitional area between box and cable and an additional mounting lug for permanent installation. The additionally reinforced transition to the terminations prevents fatigue and cable breakage.